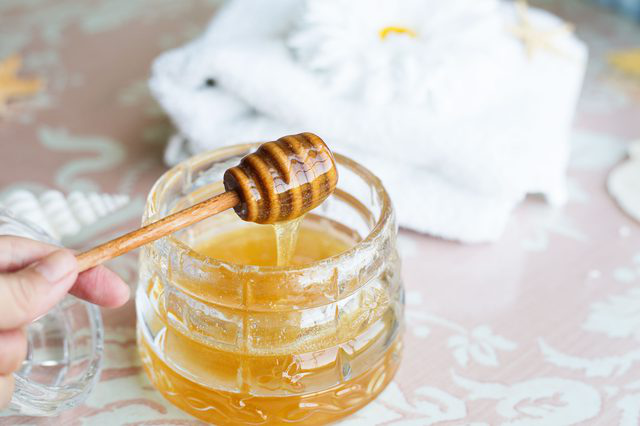 Honey and sugar are both known for their abilities to add some sweetness to your foods and drinks, but can they give your skin some sweet benefits as well? YES! Sugar is a more affordable and gentler alternative to harsh scrubs. Honey is a natural ingredient that can moisturize and heal the skin. Making your own honey sugar scrub doesn't have to be complex or confusing. Read on to learn more about the benefits and how you can make your own. How to Make Honey Sugar Scrub? You can quickly make your own scrub by using a teaspoon of raw honey and half a teaspoon of sugar. In a small bowl combine the honey and sugar, or just use the palm of your hand. You can also add a few drops of your favorite essential oil to the scrub before applying it to the face. Gently apply the mixture to your face rubbing in a circular motion. Pay particular attention to areas of the face that are dry. Leave the scrub on for about 20 minutes and then rinse with warm water. To help open up your pores, even more, apply a washcloth dampened with hot water to the face. Pat dry with a clean towel then. You can use this scrub at least once a week to help remove dead skin cells or just as you need it. You will notice your skin will be softer, smoother and more healthy looking. How Will the Honey Sugar Scrub Benefit You? While this scrub only consists of two ingredients, they both supply your skin with a number of benefits. Honey possesses anti-bacterial and anti-inflammatory properties which can help soothe skin. The antioxidants in honey also help fight against aging signs and can reduce the appearance of blemishes and acne. The sugar acts as an exfoliate that helps cleanse the skin. It helps smooth out the skin and remove dead skin cells which leaves your skin looking rejuvenated. Those with oily skin will benefit from adding egg whites to the scrub. The egg whites will help remove excess dead skin, which will help reduce the oily buildup as well as tighten and tone the skin. Just add in one egg white for a half tablespoons of honey you use. Be careful when applying this egg white scrub and avoid getting any in your mouth because of the risk of salmonella from the raw egg whites. Adding oat to your honey and sugar scrub can help deep clean your skin even more. Oats contain a variety of natural cleansers which help remove excess dirt and oil from the skin. They also add in an extra gentle exfoliating factor that can help remove more dead skin from the face. To make your own honey sugar scrub with oats, combine three-quarters of a cup of whole grain steel cut oat, a quarter cup of raw honey, a quarter teaspoon of sugar, and a quarter cup of fresh lemon juice in a small bowl. Stir the mixture as you add a quart cup of water. Apply the mixture to your face, messaging it gently in a circular motion. Leave the mixture on for about a minute before rinsing with warm water. The olive oil is highly effective at removing dirt, grime, and other build up deep within the skin. It also contains a significant amount of vitamin E which will help keep the skin hydrated. The brown sugar help moisturize because it acts as a natural humectant. To make this scrub, simply combine a tablespoon of brown sugar with a teaspoon of oil. Stir the two ingredients together well and apply it to the face in small circular motions. Allow it to sit for a few minutes, then rinse with warm water. The almond oil helps reduce damage from the sun's UV rays. The vanilla extract is a great addition for this body scrub, especially during the summer months, because it can give a slight golden tan hint to the skin. In a bowl, combine a cup of brown sugar with a third a cup of almond oi, half a teaspoon of vitamin E and a teaspoon of vanilla extract. You want to ensure all the ingredients are blended together well. This scrub is safe to use over the entire body and can be stored in a sealed container for up to two months. Do Artificial Sweeteners Make Your Belly Fat?